'He was an ambassador': Snowmobile guide dies after rollover near Sicamous, B.C. The B.C. 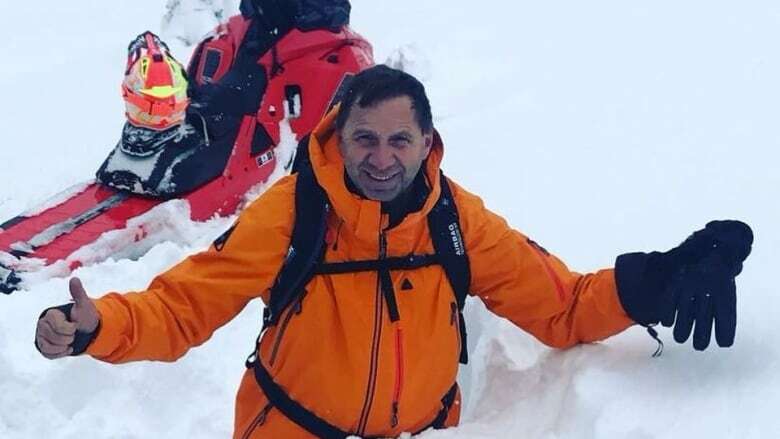 Snowmobile Federation has identified Rene St. Onge as the 51-year-old snowmobile guide who died after a snowmobiling accident in the Shuswap area of B.C. Sunday. The outdoor community is in mourning after a well-known guide died in an accident Sunday, the B.C. Snowmobile Federation said. Federation executive director Donegal Wilson said the death of Rene St. Onge Sunday has left snowmobilers in shock. "I think everybody has a story of one or another of meeting up with Rene and having a great day," Wilson said. "He was an ambassador in a lot of things and always willing to help somebody on the hill." Police said earlier Monday a 51-year-old man died after a snowmobiling accident in the Shuswap area of B.C. Wilson told CBC that man was St. Onge. He was guiding a group of five other snowmobilers in the Queest Mountain Forest Service Road area, north of Sicamous, when he rolled into a creek bed on Sunday, according to police. RCMP said St. Onge was pinned under his snowmobile, and the group couldn't revive him. The Shuswap Volunteer Search and Rescue Team (SVSAR) responded and helped the remaining snowmobilers out of the area, but said St. Onge's body couldn't be removed due to darkness, weather conditions and difficult terrain. A statement from Mounties said efforts to remove the body would resume Monday. The BC Coroners Service is investigating the death.